Sunward Steel Buildings, Inc. was the proud fabricator and supplier of this pre-engineered metal building in Miles City, Montana, in October of 2009. Nowadays, it serves as a workshop for Short Lane Gun Adapters, a Montana-based, full-service CNC machine shop and provider of practical adapters that help combat weight and recoil issues associated with single and double-barrel shotguns. A trusted fixture within the American firearms scene, Short Lane also manufactures shotgun adapters for use in 12, 16, 20-gauge and 410 shotguns in this facility. 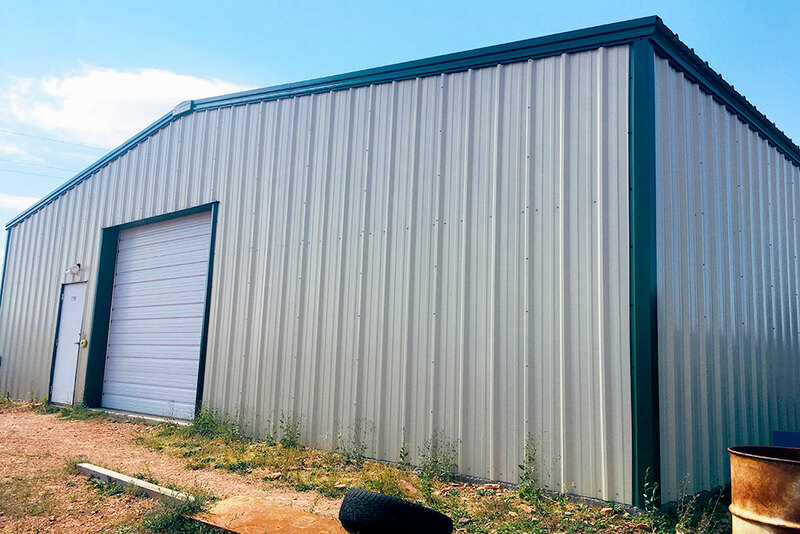 Offering the strength and versatility the Montana climate and this type of operation demands, the metal building is comprised of top-quality steel components, and it stands 42’x58’x12’ in size upon erection. Its broad, clear-span design gives Short Lane employees plenty of room to produce and store inventory, and the building’s Stone Beige exterior and complementing Dark Green trim deliver considerable curb appeal. Overhead, a robust, corrosion-resistant metal roof with a 2:12 pitch protects the interior of the structure from the Montana elements, while a high-performance insulation package serves as an additional key feature. Within its roof and walls, the workshop features 6” of WMP-VR R-19 fiberglass insulation, which dramatically reduces energy bills while helping Short Lane staff stay comfortable on the job, regardless of season. Additional accommodations include a 90-mph wind speed rating and a 20-pound snow load; inclusions made with the typical climate and seasonal snow patterns of the Miles City area in mind. In addition to providing a safe, secure and climate-appropriate production facility for Short Lane owners, this prefabricated steel workshop gives the company and its associates more room to produce and expand its line of shotgun accessories, including its popular Scavenger, Zombie, Bug Out and Pathfinder Series adaptors. Offering unmatched durability and strength, the steel workshop requires only minimal upkeep and maintenance over its lifetime, giving workers more time to produce adaptors and serve Short Lane’s ever-growing lineup of clients. Situated within southeastern Montana’s Custer County, Miles City sits roughly 145 miles west of Billings and about 80 miles outside Colstrip. 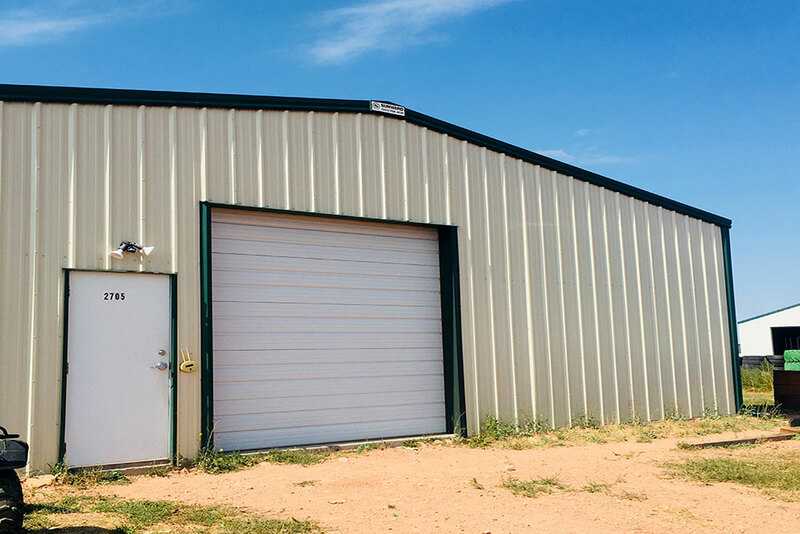 Considering purchasing a pre-engineered metal building for manufacturing use in Montana or another part of the country? Click here for a price quote.